Sorry, I know it's popular in Trawden, but NONE of my rabbits have ever eaten this even though I regularly pick it and mix it in with other plants. It always gets left here. I do think it would be interesting to put Tui or Tethra with a rabbit who likes to eat it and see if they change their view I suspect that mine copy these behaviours. Omi is this cow parsley? I'm getting confused because it has the same colour stem as herb robert doesn't it? Yes, it looks like Cow Parsley. Easy to check though with a cross section of the stem. Sometimes Cow Parsley has reddish stems, but Herb Robert is a much more definite red. Compare the leaves as well. They are different. Thanks Omi. Now I compared my photos I can see the difference. When out on walk though I was starting to go cross eyed. Do buns like wild rose? Also does anyone know what this is? Thanks for posting this. I've not seen that before from FHB, although I knew about the seeds. I've not fed Sycamore before, but that's also because I've not come across it. I do feed Field Maple though, which we have in the hedge around the garden and I also collect it from the hedges up the road. This has to be a close cousin. When I looked yesterday about Sycamore, I could only find sites which said it was OK and those that mentioned the seeds. Sorry loobers, I would put this in the 'iffy' category and not feed. I have got both growing near here. Cow Parsley is in the garden and up the road and there is a small amount of Hemlock also up the road. The key ID feature for me is the stem. 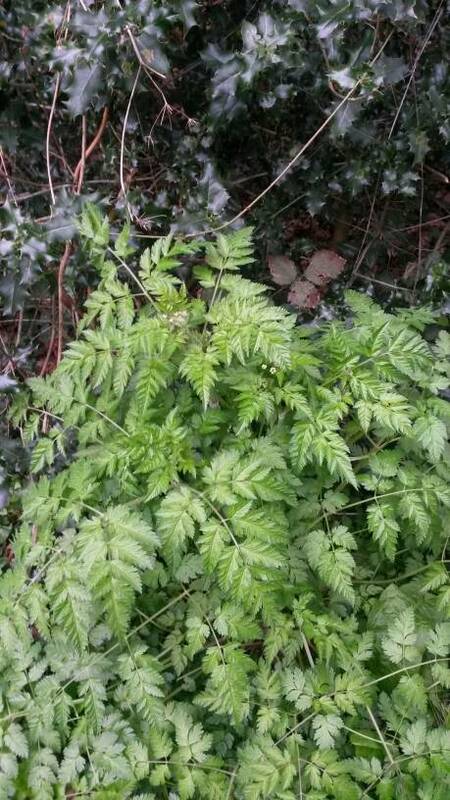 There is a definite groove, or 'u' shape in the stem of Cow Parsley, similar to celery. Hemlock doesn't have this. I can also see a difference in the leaves, but that it is bit more subtle.